Set the solid foundation of a competent workforce with DDA Corporate and Medical Training (CMT). In today's age, traditional forms of employee training have been replaced with technology-based solutions that make learning more accessible, interactive, and fun. 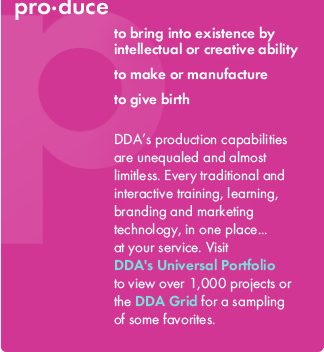 At the forefront of development stands DDA CMT™. A division of Dynamic Digital Advertising, DDA CMT™ specializes in the creation of interactive eLearning tools that do far more than instruct. With a DDA CMT™-developed eLearning platform, corporate and medical organizations will train faster and more effectively, with less manpower and fewer ongoing costs. DDA CMT™ blends interactive technology with proven training tactics to create multimedia eLearning platforms that keep users interested. The complex is made clear with synchronous media presentations that mix text and narrations with supporting imagery, video, and animations. Trainee comprehension is heightened and validated with a number of interactive technologies, such as games, simulations, and quizzes that require users to recall and apply acquired knowledge. 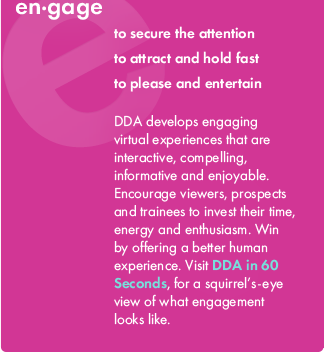 With this media-rich approach to training, viewers can't help but be engaged in a learning experience that is not only effective, but enjoyable for all those involved. DDA CMT™ eases administrative training burdens with robust back-end features designed to track, analyze, and measure eLearning platform use. 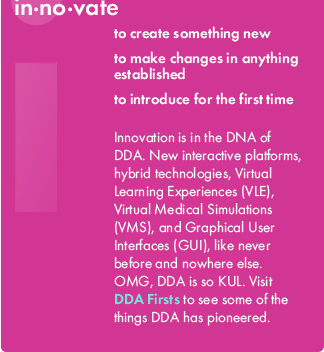 Best of all, technology-based training solutions by DDA CMT™ are built from the ground up to be scalable. As a corporate or medical organization expands and their policies and practices evolve, so can their training platform, in order to remain relevant years into the future. 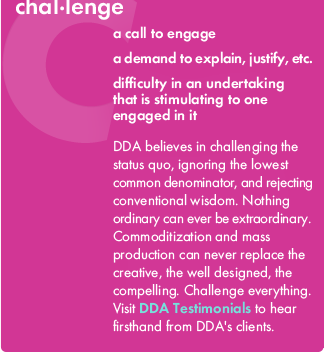 For a more knowledgeable and competent workforce, inform and motivate with DDA CMT™. Contact us today.